A Lucky Ladybug: Inateck Gadgets for Holiday Gifting! Inateck Gadgets for Holiday Gifting! As a blogger, I am sure you can realize the amount of technology and electronics we have in our home. They are a huge part of my life as well as my families in this day and age! Being up on the newest and best in each category is of course key. 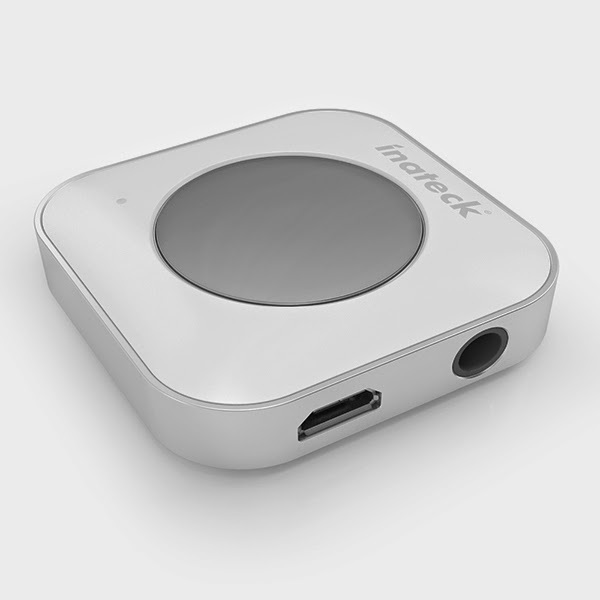 I recently worked with the awesome brand Inateck before the holiday on some pretty neat gadgets and they've decided to work together again. "Inateck provides all kinds of accessories or upgrades, including Expansion Cards, Power Supplies and Batteries, Hard Drives and SSDs, Cables and Tools etc." This time around, I was given the opportunity to review their Bluetooth Audio Receiver and Wireless Bluetooth Keyboard. Both make great gifts for this holiday season! The Wireless Bluetooth Keyboard is compatible with all Bluetooth-enabled tablets, laptops, and computers and has an ergonomic tilted design which majorly helps elliviate my wrist pain since I spend so much time on the computer! This bad boy can even last up to 700 hours continuously without battery changes. 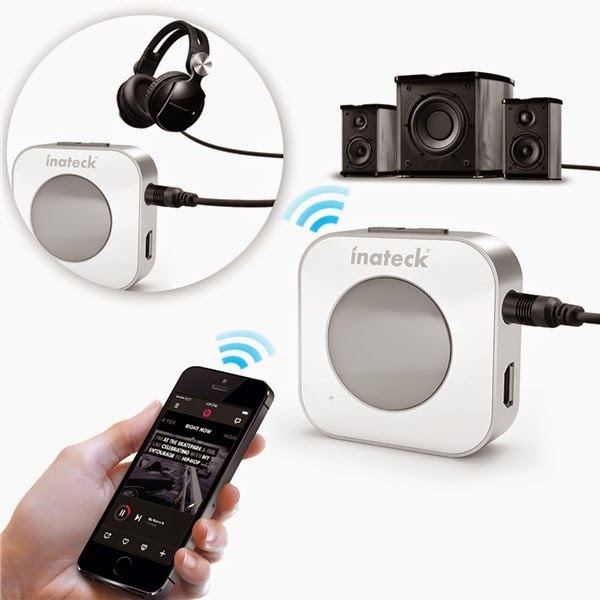 The Inateck® Mini Wireless Bluetooth 3.0 Universal Audio Receiver is definitely my favorite this time around as it enables any conventional stereo to receive Bluetooth signals. So even if your gadgets aren't up with the latest technology, you can still use them giving them the same technology of the newer products! Using Bluetooth 3.0, stream wireless audio signals up to 10 meters range. Even better this device is tiny and can go wherever you like to take the music with you! Recommendation: Well worth the purchase and makes for a great gift for the techie in your life this holiday. Not only do both of these work great, they are very affordable and make perfect stocking stuffers under $25! !